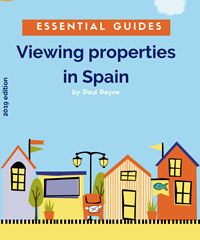 When you’re spending your hard earned money on property in a foreign country, it’s vital to choose a professional, ethical organization that will look after your interests with integrity. MASA is one of only a few property companies on the Costa Blanca to have been accredited with ISO 9001 status, which means you benefit from our proven commitment to excellence in customer service and administration. To be the first company in the real estate business on the Costa Blanca to have obtained this certification since July 2000. 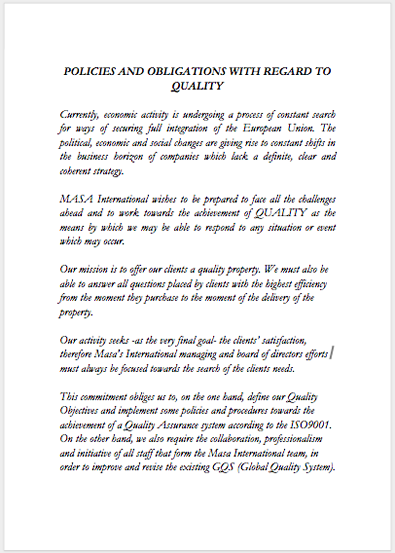 To be in possession of a certificate with international recognition that is well-known and a guarantee to our clients. 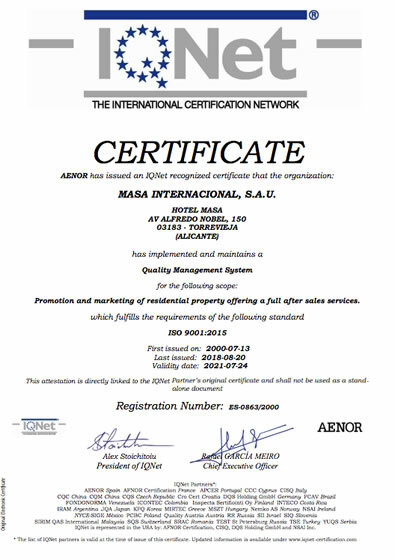 To work with AENOR, a company known to have very strict certification standards. To provide a solid internal structure and to grow in a structured way. To offer a standardized service to all clients. To guarantee internal revisions and the fulfillment of processes. To have an environment that offers continued improvement of processes and to avoid become stagnant.